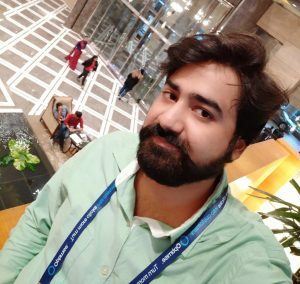 Hey friends, Today I will tell you a trick to keep WhatsApp online all the time even if your Phone screen is Off. Yes! 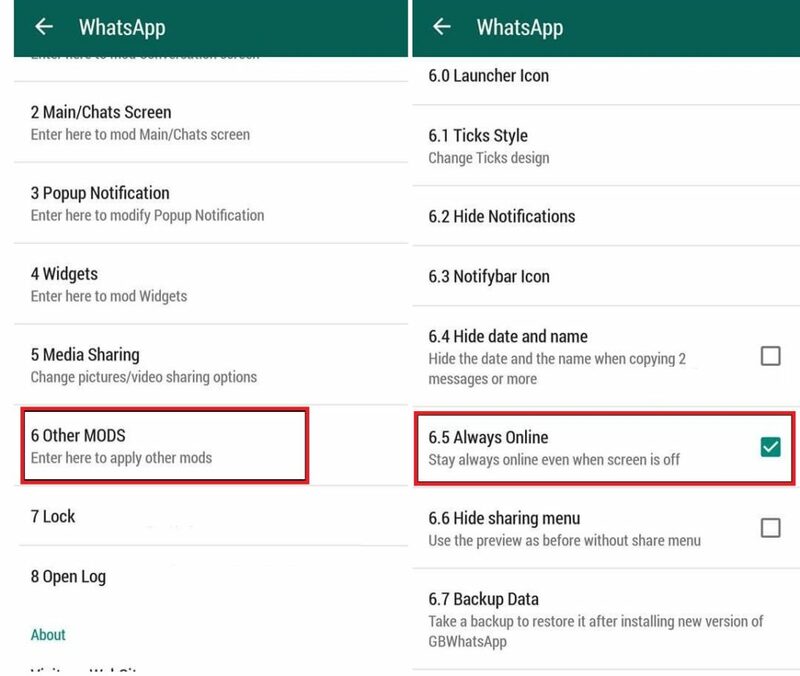 It is possible to keep your whatsApp status online even when you not using your mobile phone. You can keep your WhatsApp status online 24/7. WhatsApp is one of the most popular messaging application in the World. It has over 1 billion registered users and every day billions of messages are sent. It became more popular after WhatsApp Voice calling feature. 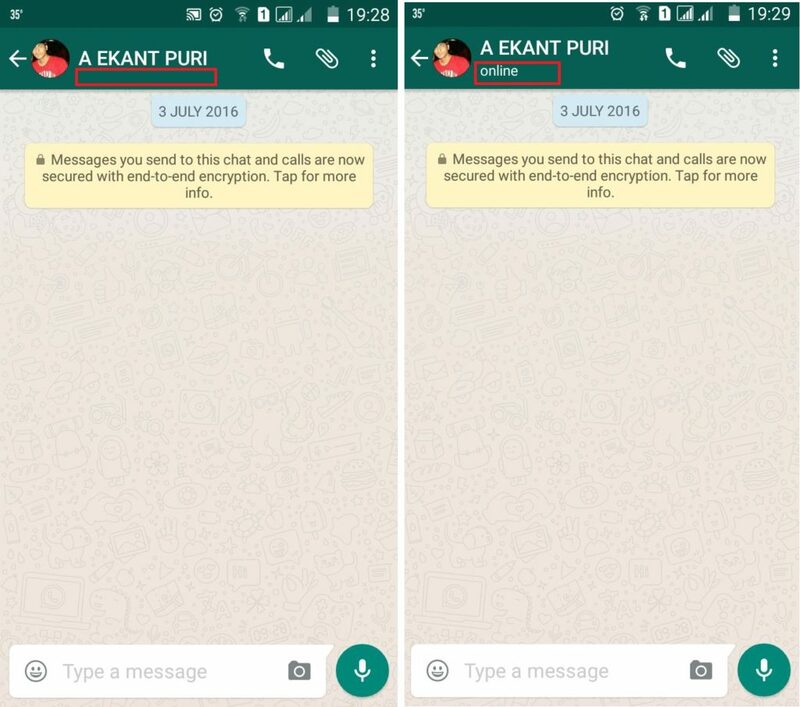 WhatApp has a unique feature which shows people online or not. It shows the last seen of person. Users can hide the last seen option from their Phone. But, if you want to keep WhatsApp online all the time without even turning your phone on. Then, you should follow the trick listed below and keep WhatsApp online every time. Make sure you have uninstalled WhatsApp from your smartphone. Also, Enable the downloading of apps from the Unknown source. Now, Install the GB WhatsApp on your smartphone. Now, Enter your mobile number and verify with OTP received on your Android Phone. Setup your WhatsApp profile by writing your name and details. Now, tap on GB Settings ==> Other MODS. Now, Tap on always online. Congratulations! You have successfully made your WhatsApp status online all time. This is the best way to show WhatsApp status online all the time on Android and iPhone. The GB WhatsApp consist lots more interesting features. This GB WhatsApp will let you do everything. It has stunning amazing features of WhatsApp. You can use all these stunning features on your iPhone also. Yes! It is possible to keep WhatsApp online on iPhone. You can make your iPhone status online always. I have searched few amazing software for iPhone. Note: You should have an internet connection on your Smartphone. Either internet data pack or WiFi is needed. The software shared above are used on both Android and iPhone. We found these software’s and applications working. If you still face any problem in using any of the Software or application listed above. Then, do comment below and don’t forget to share this article with your friends.